Bob Hozhei has very fond memories of a grandfather who he idolized. This is a few short stories and a few stories told live all rolled into one. 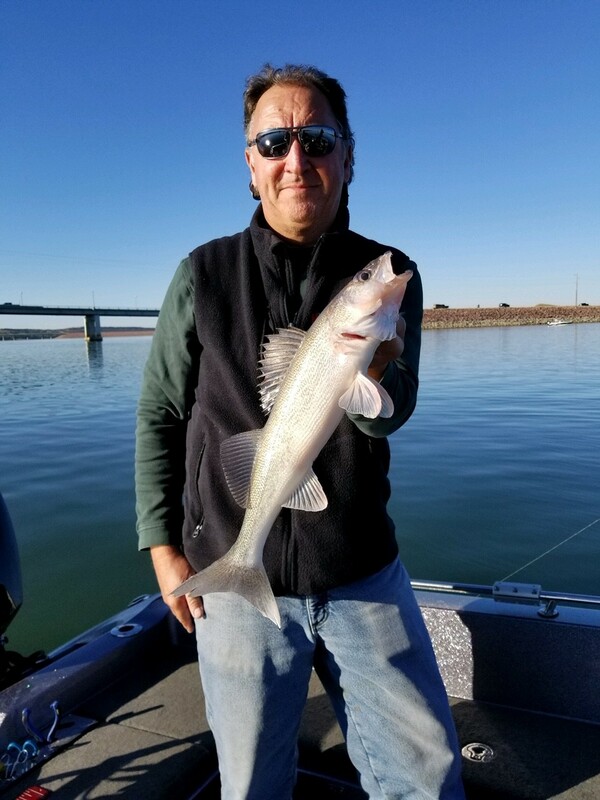 Eddie Salmeron talks about a memorable experience as a nine year old, Monty Nelson reminisces about catching walleye in Canada, and the Crawfords tell a few stories live in SD. 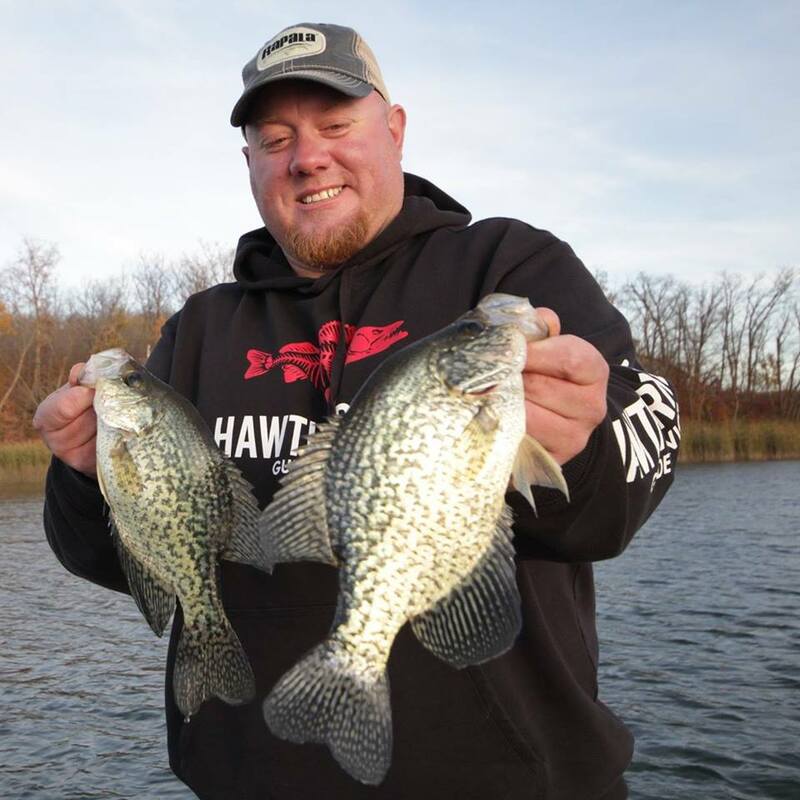 Craig Oyler is a multi-season/multi-species angler who travels across the midwest chasing the next big bite. He's had many mentors along the way, and talks about some of them in this short story. 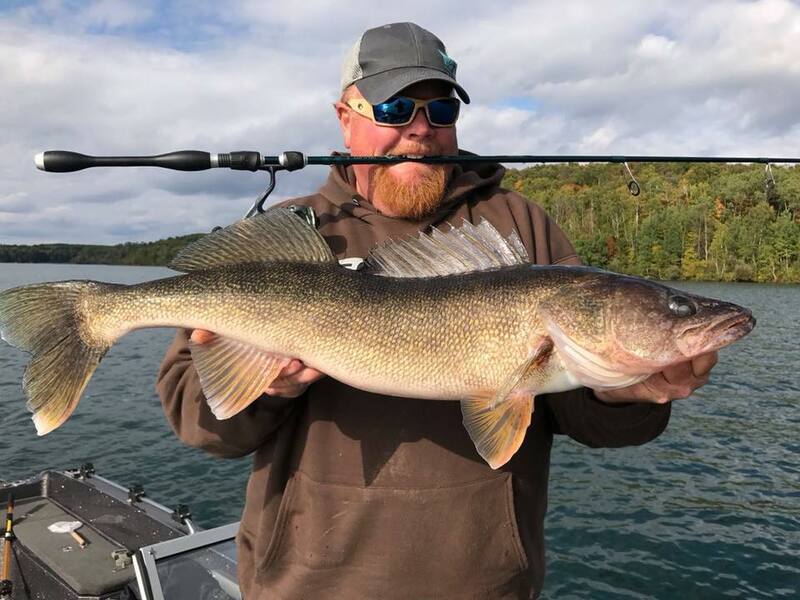 Craig Oyler is a multi-season/multi-species angler who travels across the midwest chasing the next big bite. 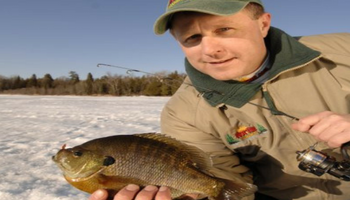 He remembers the first time his dad took him ice fishing, and remembers is fondly. 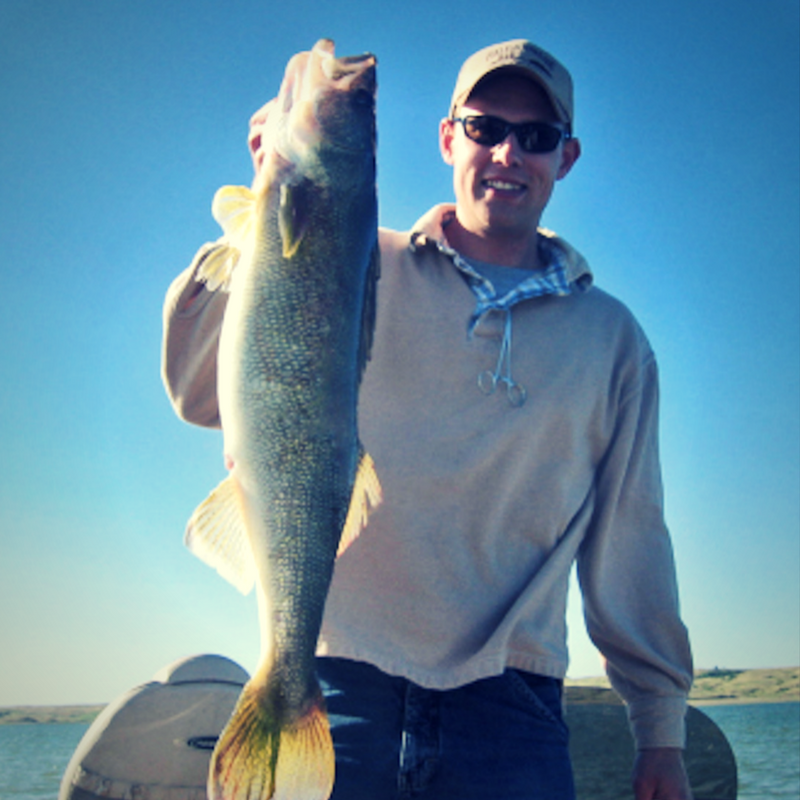 Josh Bertrand is a professional angler from Arizona who made the haul up to Lake Oahe for an Elite Series showdown. He figured out South Dakota's smallies enough to take 8th overall, but had one memorable fish that didn't even help him at the weigh-in. 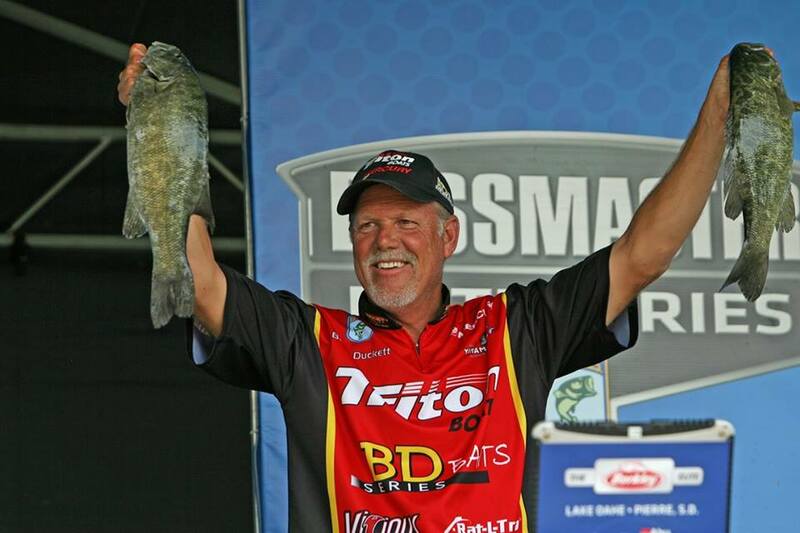 Boyd Duckett is a Bassmaster Classic champion from Guntersville, Alabama. 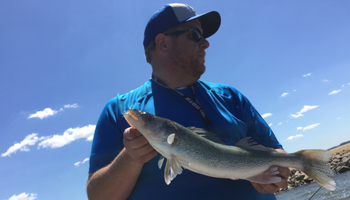 He found himself fishing on championship Monday on Lake Oahe in Pierre, So. Dak. on July 2, 2018 in the hunt for the Elite Series title. 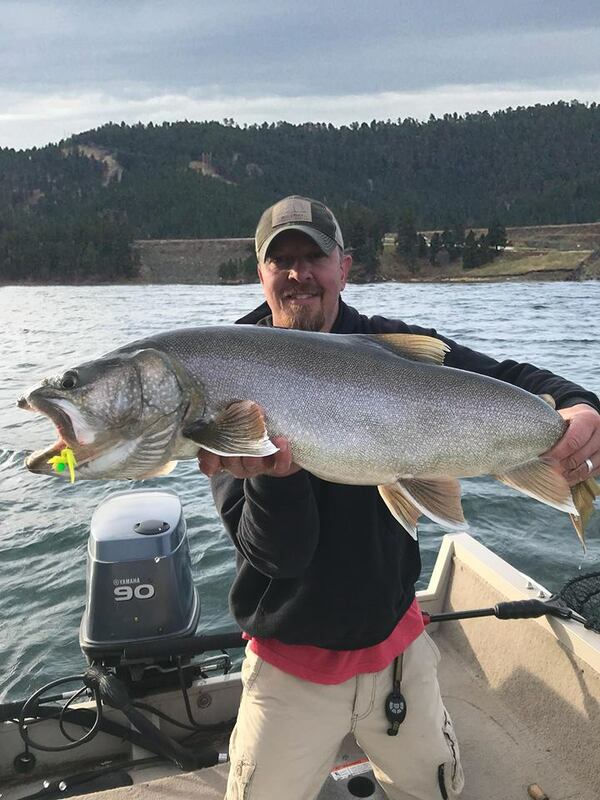 Lake Oahe gave him a chance to seal the deal, but the big green South Dakota smallies had other plans. 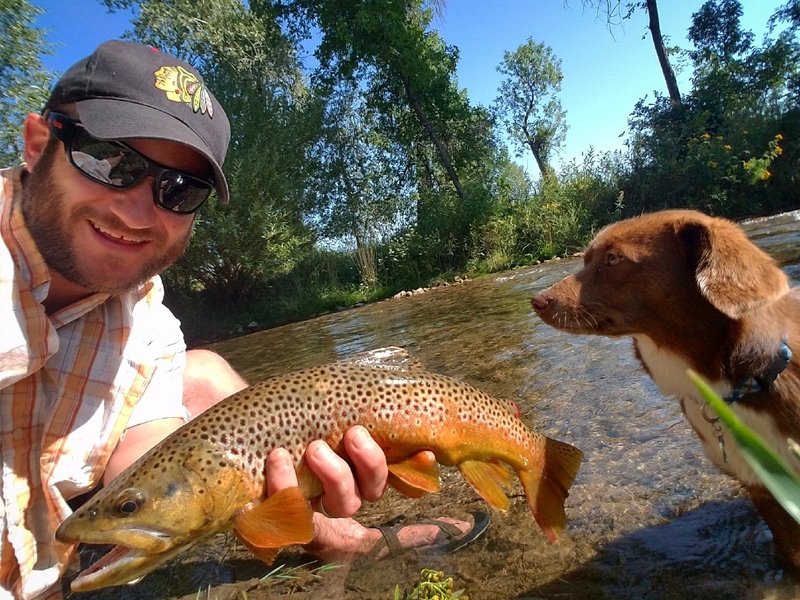 I love fishing alone, but there are times when having a fishing buddy can make the trip so much better. 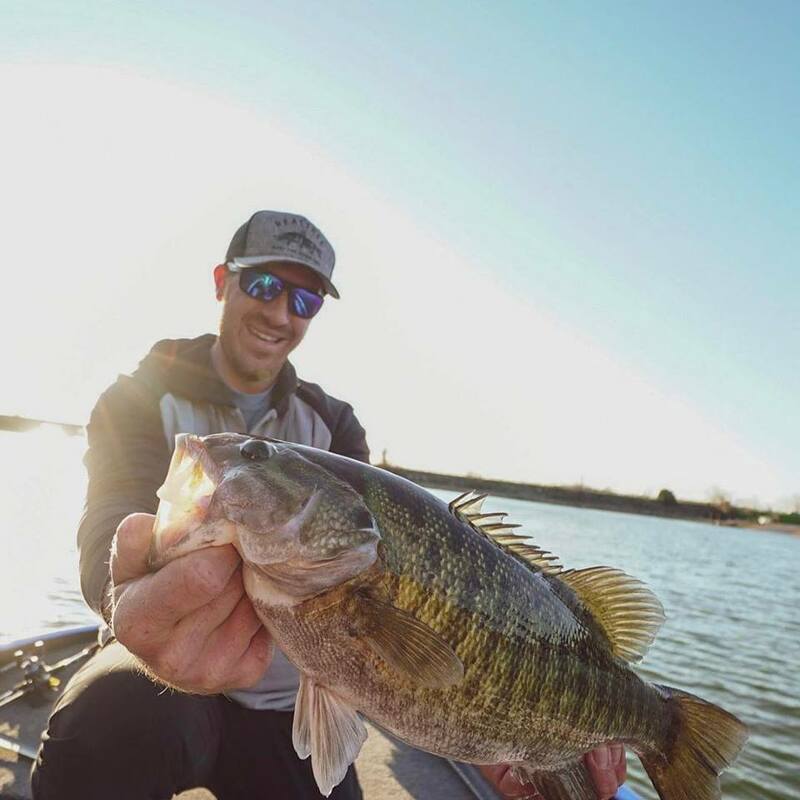 Eric Lopez is the Operations Manager for the Bassmaster Elite Series Tournaments. He doesn't even fish, and yet, has come to appreciate this sport and building the BASS brand around professional anglers. 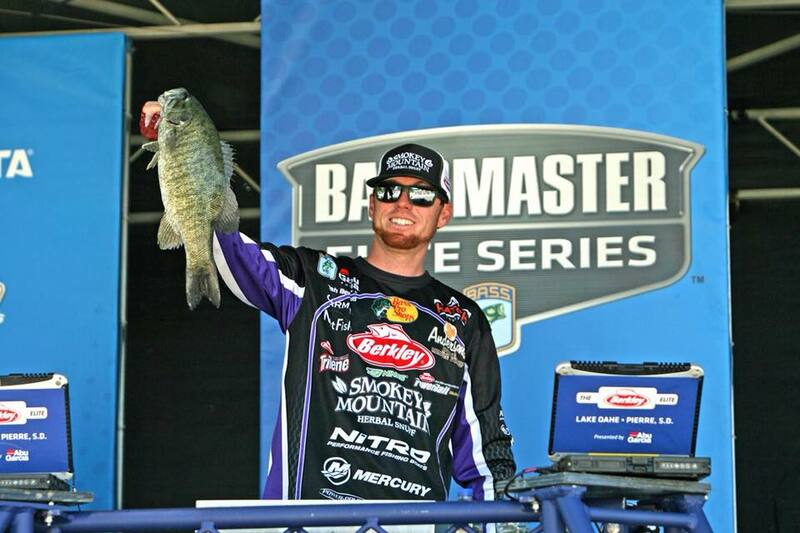 Jacob Wheeler is a professional bass angler from Tennessee. 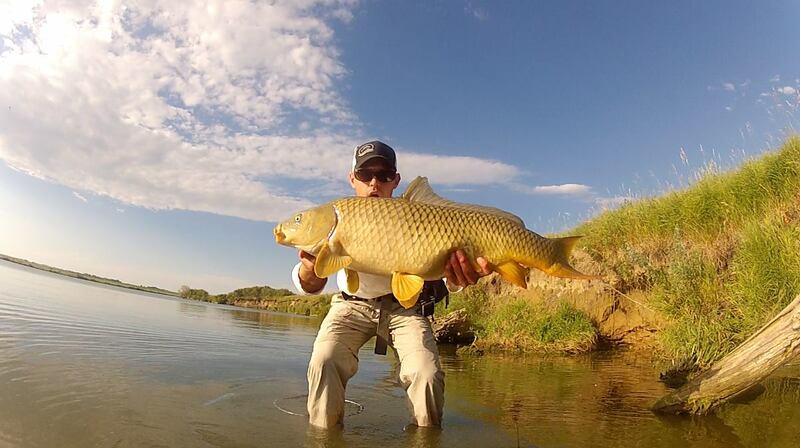 He fishes the Bassmaster Elite Series and spent some time in Pierre, So. Dak on Lake Oahe in 2018. We talked about his experience, and what makes Pierre a special place. 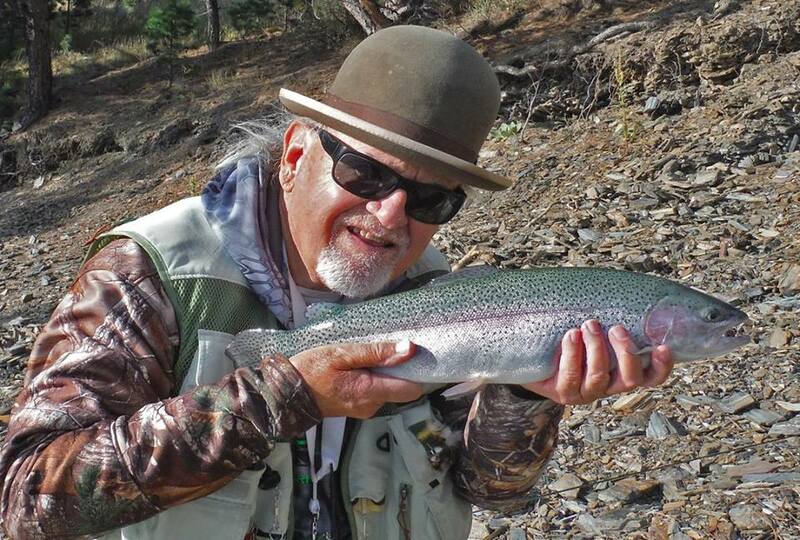 Ron Friedman doesn't claim to be an angler, but has a great fishing story. 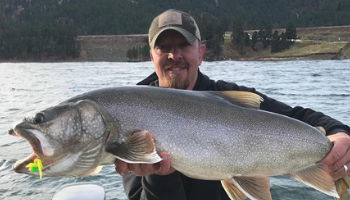 He and his buddy Steve went looking for Oregon salmon and beat the odds by each catching the same fish. Curt and Paul remember going out to play in the water one windy South Dakota day. Gary and Larry talk about the people who they've looked up to and the people who helped get them into fishing. Georgine Chytka was fishing with her son one November day in 1975 when she landed South Dakota's state record walleye. She talks about her favorite fishing and the legacy that she'd like to leave behind. Gary and Larry have had some great adventures together. 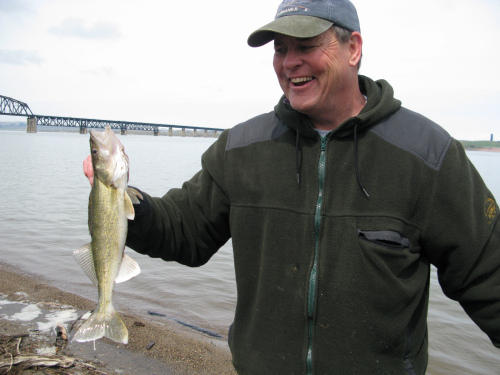 Larry tells his favorite story about catching big rock bass on the Missouri River. 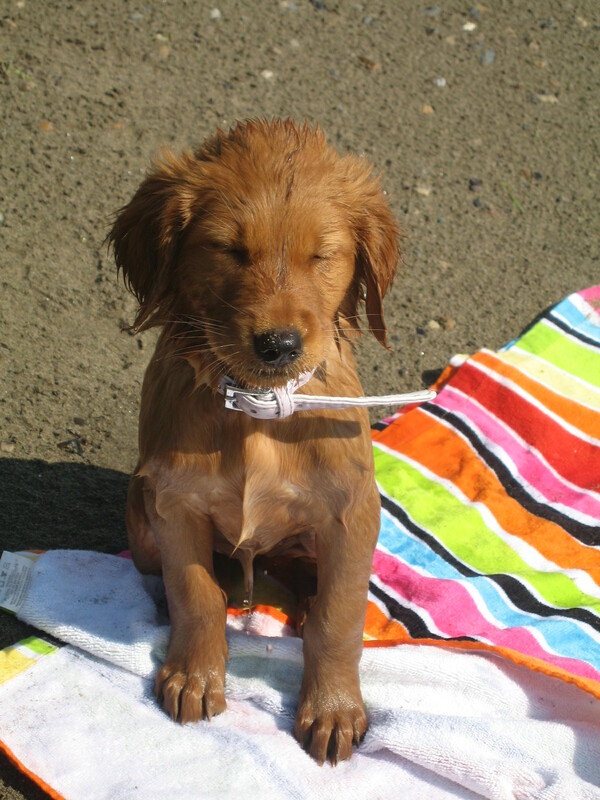 This is a story about how a dog from Harrold, SD came to become my favorite fishing companion and best friend. 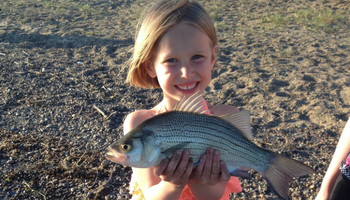 I took my daughters fly fishing for white bass a few years ago. We didn't fish long, but really caught some nice fish. Todd Heitkamp is a Meteorologist with the National Weather Service. 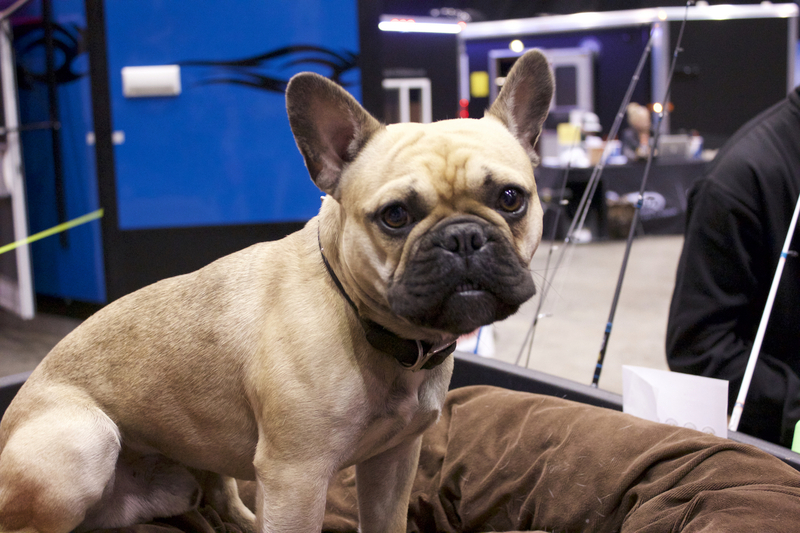 He is also the proud owner of Dakota Angler in Sioux Falls, SD. He gave us a backstage pass to his fishing career in this conversation. 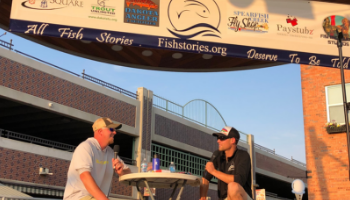 We talked about his passion for fishing and where it comes from, some of the challenges that exist for the "mom and pop" tackle shops, and his proudest moment as an angler. 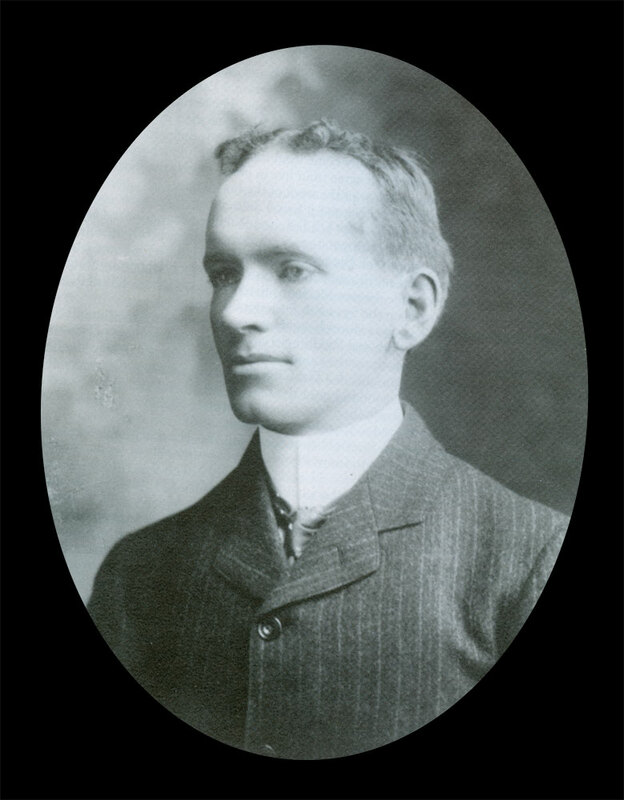 Dave Hanna, from Rapid City, So. Dak. talks about fishing in Alaska and finding zen on the water. An inside joke amongst friends still makes a pretty funny fish story. It's not about the fish that makes it worthwhile for most anglers. It's the places you go and the people you meet that make it memorable. David talks about an organization that he is very involved in and why it is important to the Black Hills of South Dakota. 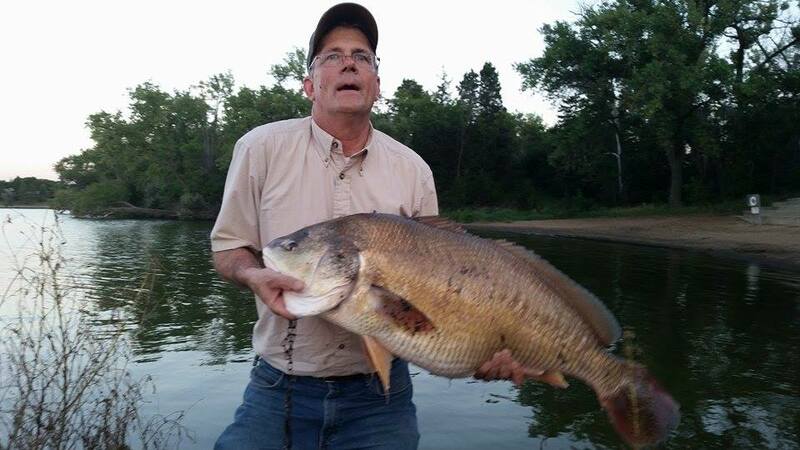 Dave Hanna has been fishing for a long time. 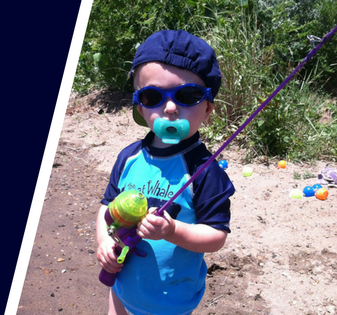 He's learned a thing or two about what fishing can bring to a person, and how you can get the most out of your trip to the water. Thanks Dave! 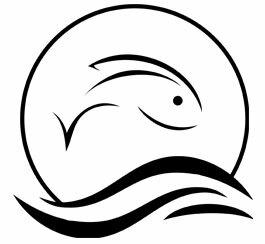 Dave talks about how he'd like to be remembered, and what fish stories could mean for the fishing community. The power of Fish Stories! 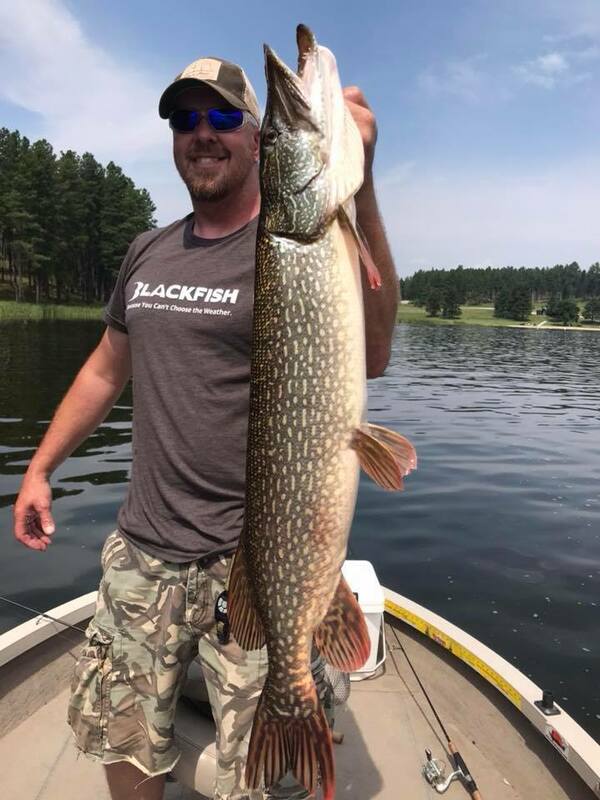 David talks about the importance of water quality in the Black Hills and what it could mean to the amazing fisheries we know and love and the clean drinking water Rapid City residents enjoy. 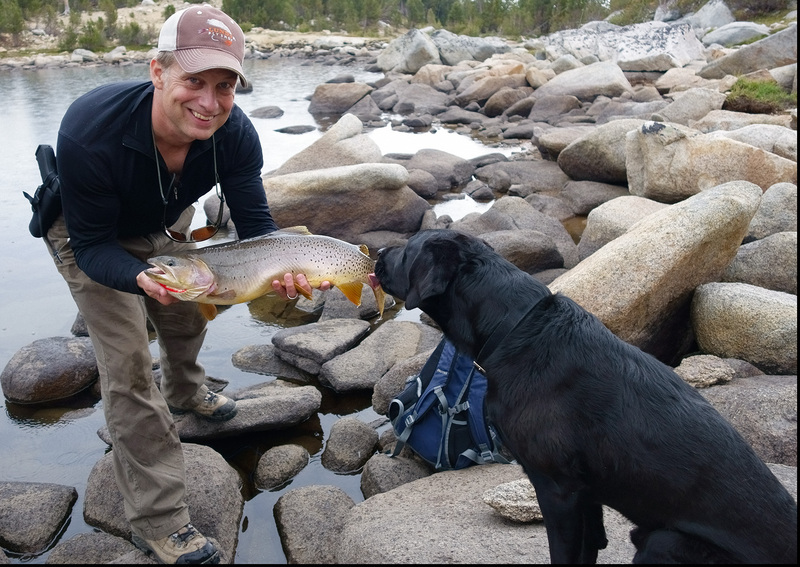 David Hanna talks about getting into fly fishing and the man who helped teach him the ropes. 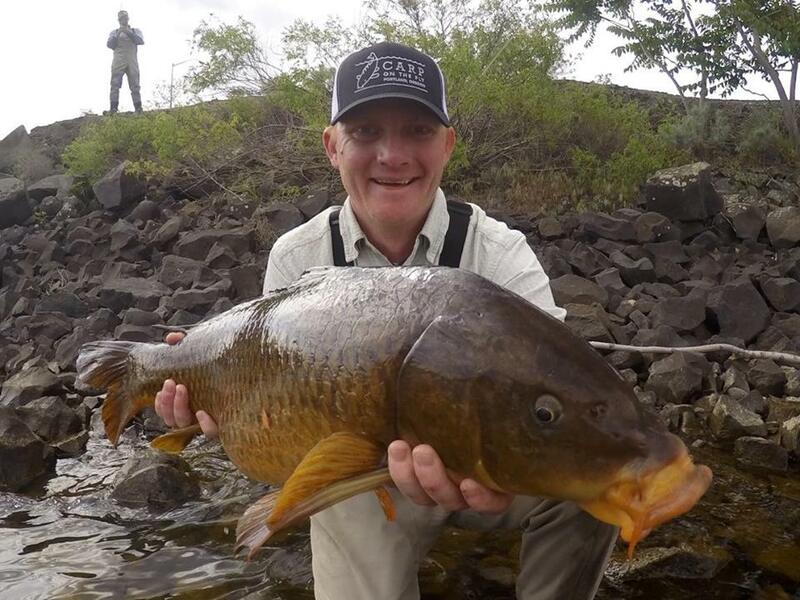 Dave Hanna never thought he would catch carp on a fly rod. Now that he has, he's hooked! David Hanna talks about his grandfather and his earliest fishing memory with him. Anthony tells a story about fishing a South Dakota Ice Fishing tourney with Chad Schaub...and a little drama. 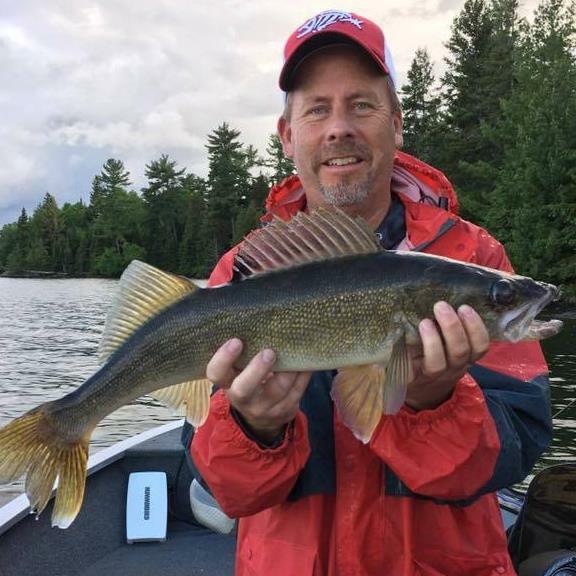 Scott Mackenthun is a Fisheries Biologist and outdoor communicator from New Prague, MN. 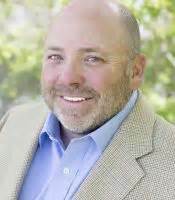 He is passionate about education, and talks about an experience with special people and a special program that altered his world view. 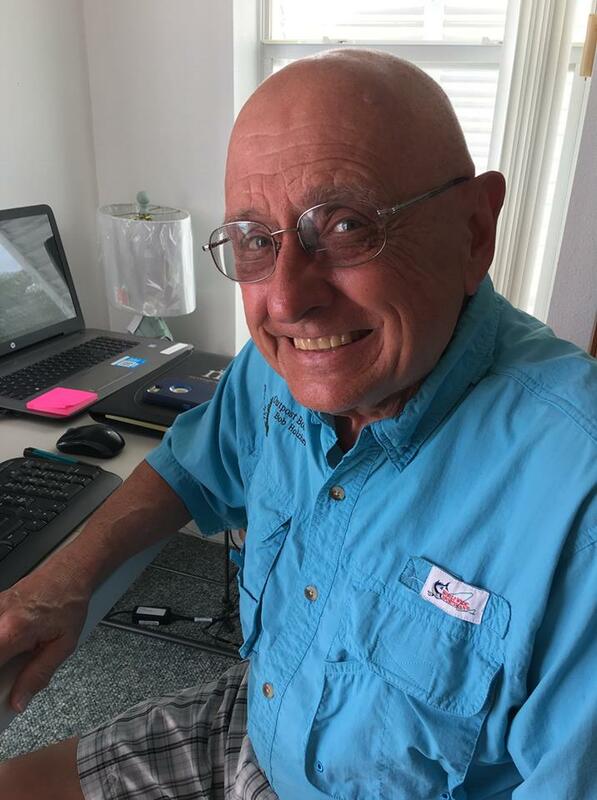 "Caster" Don Polovich is a fly angler from Rapid City, S.D. He told me about his childhood in Michigan while fishing below the Oahe dam on a unseasonably warm December morning. 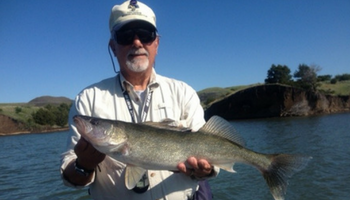 "Caster" Don Polovich is a fly angler from Rapid City, S.D. 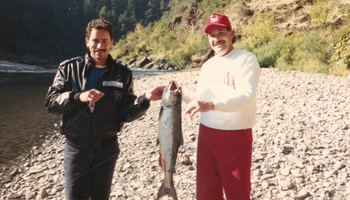 He talks about one of his favorite fishing buddy's, Paul Stabile, and why he appreciated him. Paul passed away in 2016. Doug Frasier met Joyce and it was love at first sight. Listen to Joyce Frasier talk about meeting her husband and getting him into the sport she was passionate about. Dan and his mother Joyce talk about Dan's brother Michael and how fishy he is. 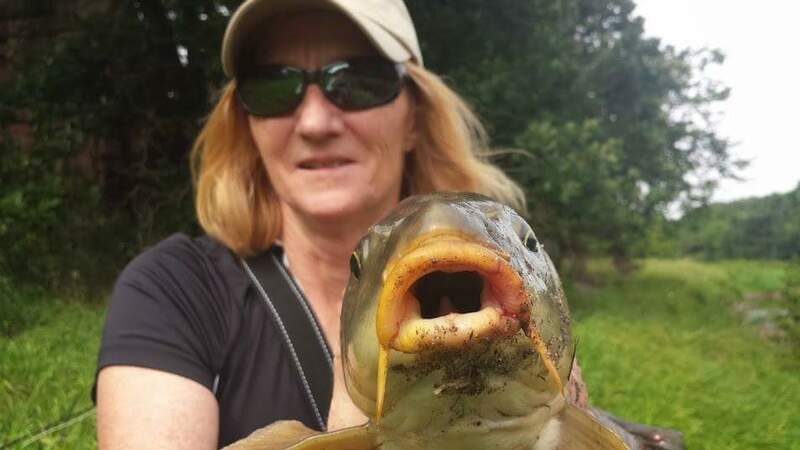 Joyce recalls her greatest catch of all time...and it didn't involve fish. Dan Frasier and his mother, Joyce, reminiscing about fishing experiences of old. 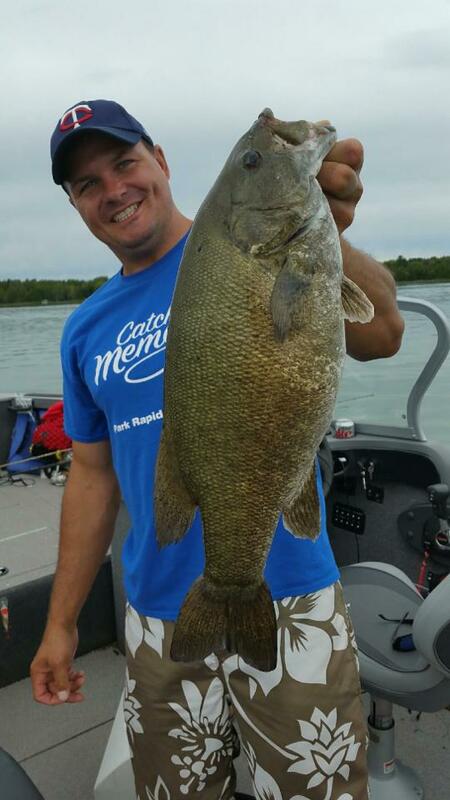 John Cooper talks about exploring the smallmouth fishing on Lake Sharpe in South Dakota with Tony Dean. It was one of those days that he'll never forget. 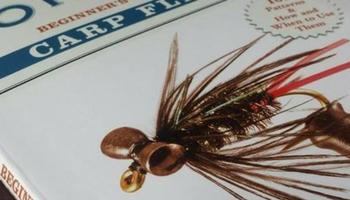 Joyce Frasier remembers when her son, Dan taught her how to fly fish. Dan Frasier describes the life cycle of a clam and why they are an important food for common carp. 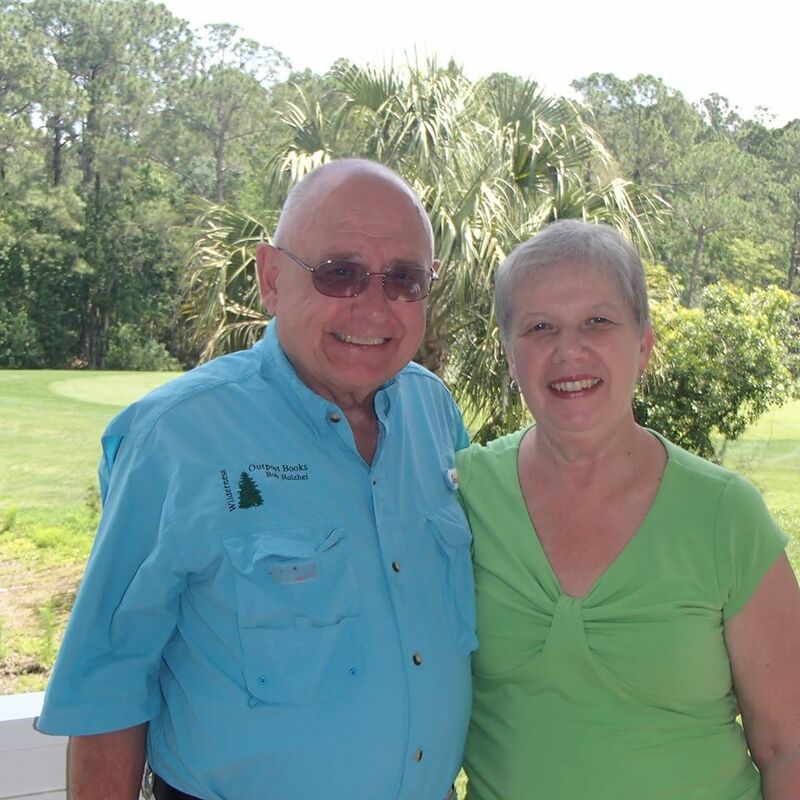 Dan Frasier and his mother Joyce remember a fishing trip with his father's parents. Noal Nelson told us a story at the 2017 Dakota Angler Ice Institute about his dad's angling heroics on Lake Poinsett. **This episode contains language that might not be appropriate for all listeners. Please use discretion. Buddy, David, and Nichols fish the tailwater below Oahe Dam in Pierre. One other boat in the tailrace makes poor choices and ends up driving over their lines. Craziness ensues. Dennis Kassube grew up fishing. When he was three, his grandpa put him in his boat, and he's been attached to this sport ever since. 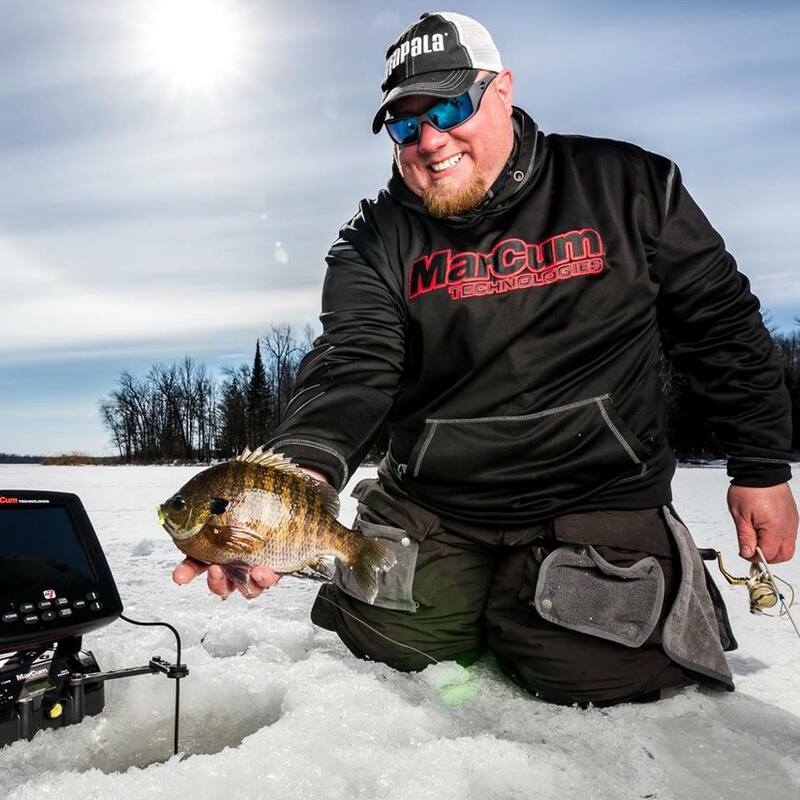 He has fond memories fishing with his grandpa and shared a few with the group at the 2018 Ice Institute Pro Panel. Dennis Kassube had just moved to South Dakota. His new friend, Tony Dean, wanted to film a show with him on a lake Dennis had never fished before. Spoiler...Dennis ended up doing a lot more shows with Tony Dean. 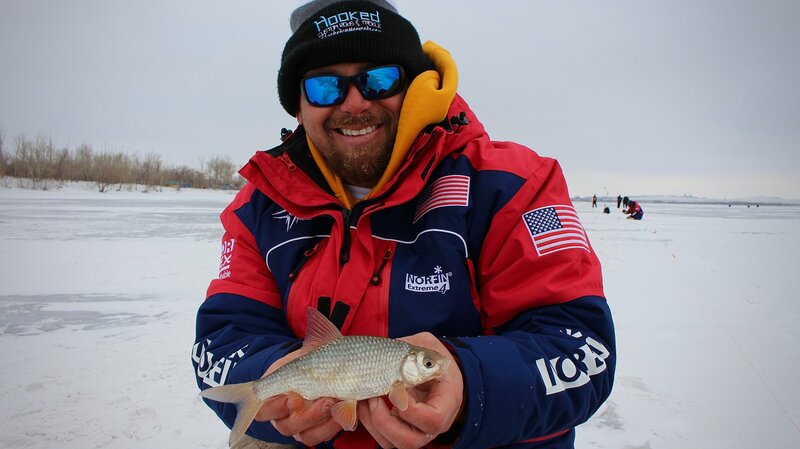 Chad helps out with Hooked on Hardwater, an affiliated program of the Club for Boys in Rapid City, SD. 60 pros come from all around the country (and Canada) to forge valuable relationships with club members, and spend some much needed time on the ice in South Dakota's Black Hills. 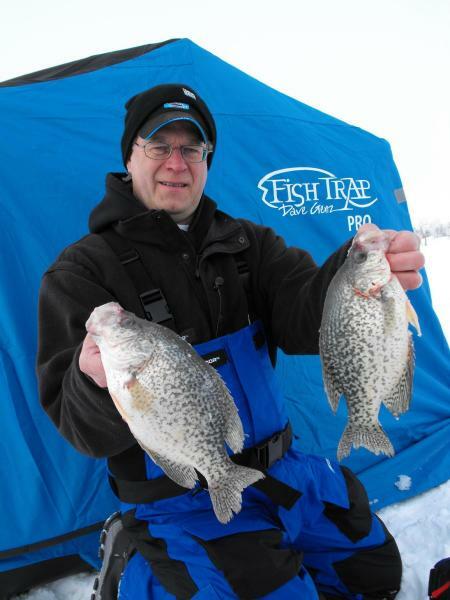 Robbi volunteers with Hooked on Hardwater, an affiliated program of the Club for Boys in Rapid City, SD. 60 pros come from all around the country (and Canada) to forge valuable relationships with club members, and spend some much needed time on the ice in South Dakota's Black Hills. Jarrod and Shantel are an angling couple from Lennox, and pro staffers for Clam Outdoors. 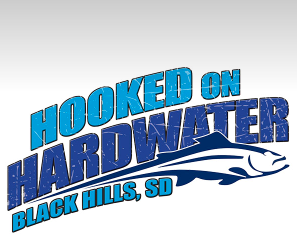 They help out with Hooked on Hardwater, an affiliated program of the Club for Boys in Rapid City, SD. 60 pros come from all around the country (and Canada) to forge valuable relationships with club members, and spend some much needed time on the ice in South Dakota's Black Hills. 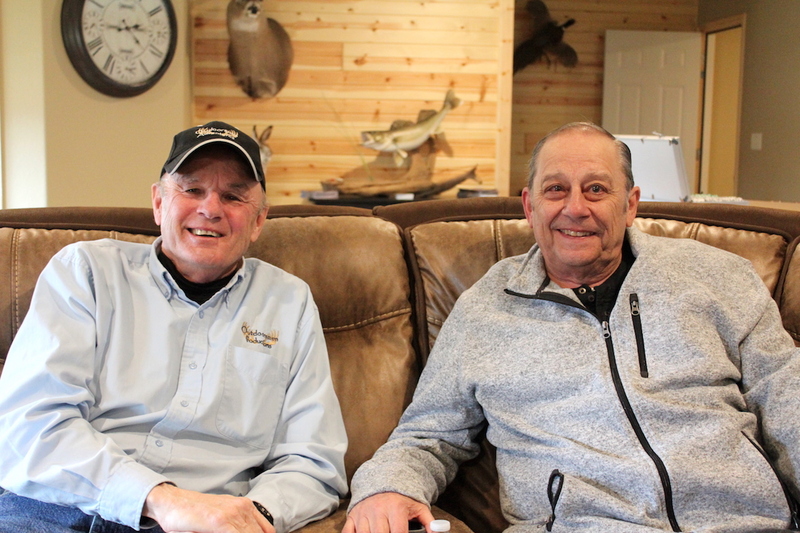 Don and Tristan Cox are Nebraska ranchers and pro anglers who help out with Hooked on Hardwater, an affiliated program of the Club for Boys in Rapid City, SD. 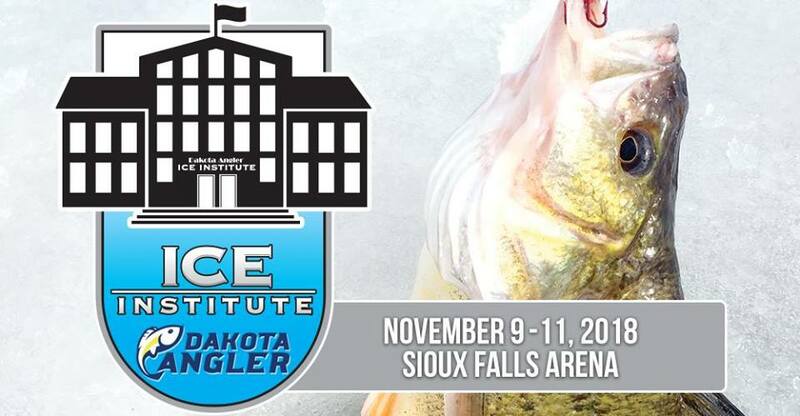 60 pros come from all around the country (and Canada) to forge valuable relationships with club members, and spend some much needed time on the ice in South Dakota's Black Hills.